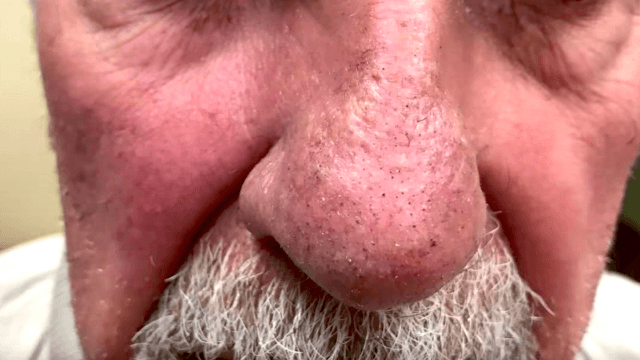 Dr. Pimple Popper pries out a bunch of hairlike 'filaments' from this man's nose. Just when we thought we had seen every kind of pop there is, Dr. Pimple Popper throws us a curveball. And we love her for it. In this video, she treats a patient with sebaceous filaments—basically tiny black hairlike objects embedded all over his nose. But with her trusty comedone extractor, she makes short work of them. This patient may be grumpy, but after watching his nose get plucked, we sure aren't. Add these filaments to the Pop Hall of Fame!